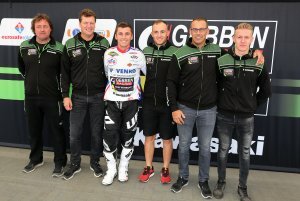 Gebben Van Venrooy Kawasaki enters the FIM World MXGP Motocross Championship in 2019 with increased input from Kawasaki Europe and an exciting twin-spearhead of Alessandro Lupino and Benoit Paturel. 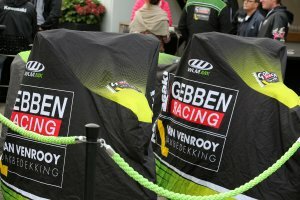 And the team will be an Official Kawasaki MXGP team for 2019. Alessandro Lupino: « We have done a good job this year with the team; nobody expects that but we trust each other so it was easy to decide to stay together for two more years. We have a good working relationship and the team improve the package every month. 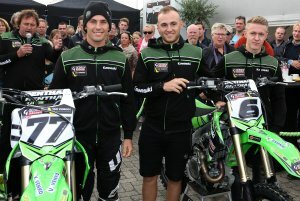 I’m also happy to welcome Benoit Paturel as my teammate. We know each other well and for sure it will be good for both of us to work and train together this winter. I will go training in the sand this winter, even if it’s raining; that’s the only way to make the next step. 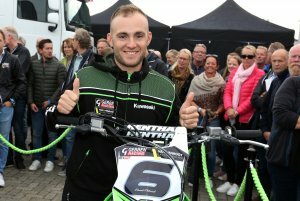 after the MX of Nations we’ll start testing the new Kawasaki and then I will take a holiday with the family to regroup before starting my preparation for 2019.